As the President of the Paradise Police Officer's Association I would like to thank each and everyone that has donated to the fund. I would also like to thank everyone that has given words of encouragement to all the Town of Paradise employees. This has been beyond what anyone expected. I can say without a hesitation that your gifts have made a difference to those that lost their homes. Now lets get to the rebuilding of our wonderful town and the Paradise Police Department. The Camp Fire has devastated the town of Paradise, Ca and surrounding areas. With 153,336 acres burned, 13,972 residences destroyed, 528 commercial structures destroyed, 4,293 other buildings destroyed, the men and women of the Paradise Police Department have worked around the clock to evacuate residents, help people in need, and keep the community safe during this challenging time. Thousands of people were forced to abandon their homes with little to no warning and now have nothing to come home to. This includes the men and women of the Paradise Police Department. 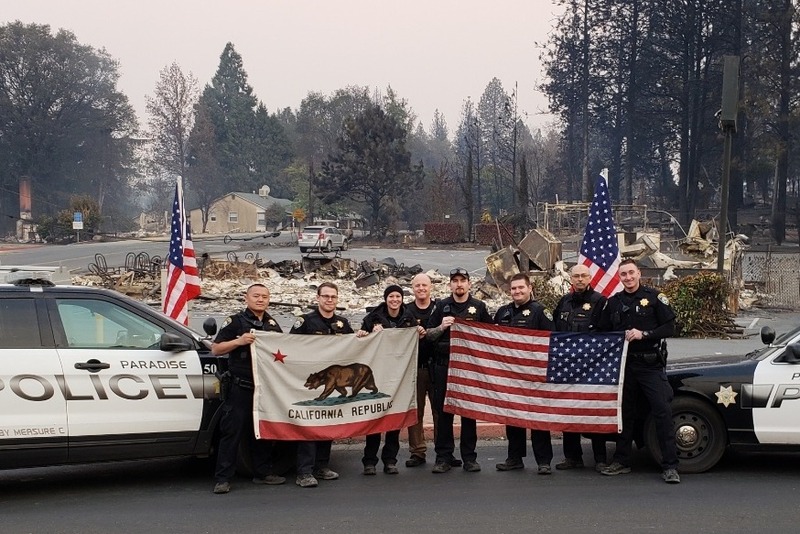 There are a total of 18 officers and support staff who have lost their homes due to the Camp Fire: 8 sworn officers including the Chief of Police, 4 dispatchers, 2 community service officers, 2 animal control officers, 1 records clerk, and 1 administrative assistant. These officers and support staff are still showing up and working to help the community. We now need to come together and show these dedicated officers and support staff how much we value and appreciate them. These brave employees proudly serve a supportive, diverse community. Paradise is the second largest city in Butte County. The police department has worked around the clock to protect citizen lives and property within the Town of Paradise during and after the Camp Fire. The Paradise Police Officers’ Association represents the men and women responsible for public safety and policing in Paradise and is collecting funds to be distributed evenly between all the employees who have lost their homes, including the ones not represented by the Paradise Police Officers’ Association.